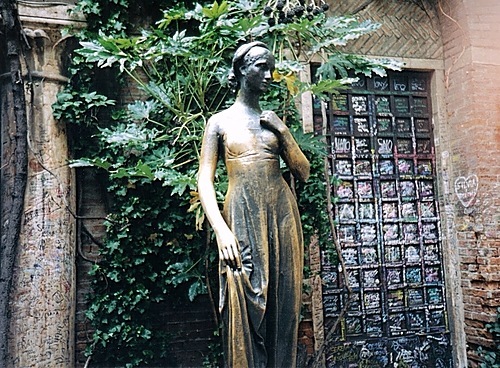 Through the cobbled alleyways streamed with specialized boutiques, (great shopping in Verona) a small arch houses the tunnel of love,coloured scribbles of graffiti – acclaims of love as you enter through a small portico to the entrance of Juliet’s tower and house. 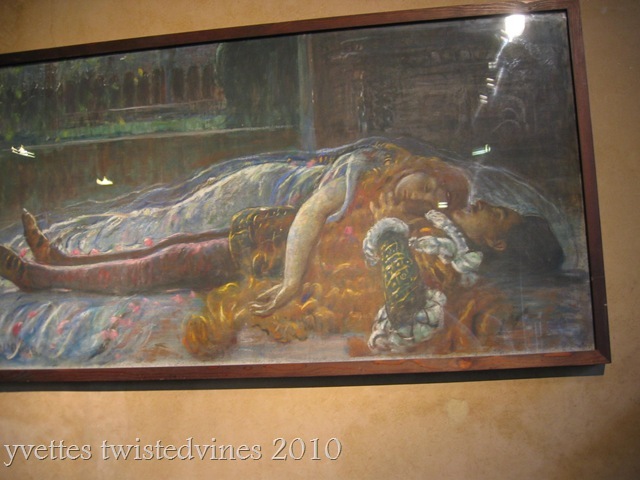 I loved this painting, setting the mood as you walk around the winding staircases..taking a glimpse of where Juliet lived, her bedroom, her dresses the artists impressions of how these young legendary lovers were. Thousands of love letters are written and answered each year and you can join Juliet’s club see details here. 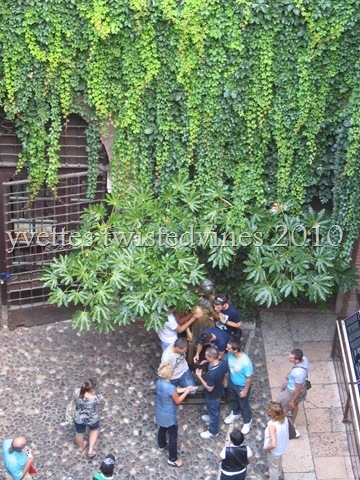 From the top staircase, the hustle of tourists can be heard from the lower courtyard.. The Arena was our next stop.This First Century structure is one of the largest after the Colosseum. Entering through grand arches passing the lower dungeons with their cold stone walls, you enter into a grand Roman amphitheatre which today houses grand operas and live concerts throughout the year.The acoustics are unbelievable, as we entered we could hear a choir of voices…three music students were singing Ave Maria…(appropriate Italian song) they certainly had everyone’s attention…. 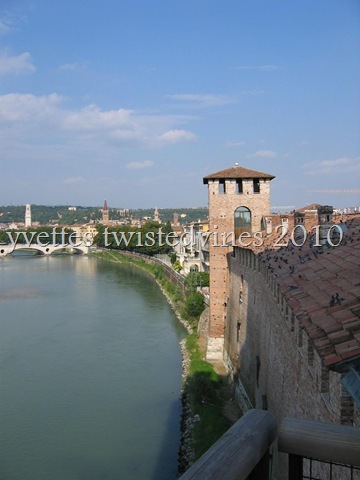 Verona is positioned between rolling hills and the banks of the river Adige. Walking along its walls we arrive at another tourist attraction. 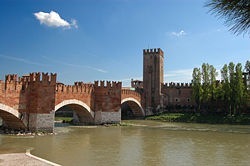 The Castelvecchio, an impressive 14th century fortress. 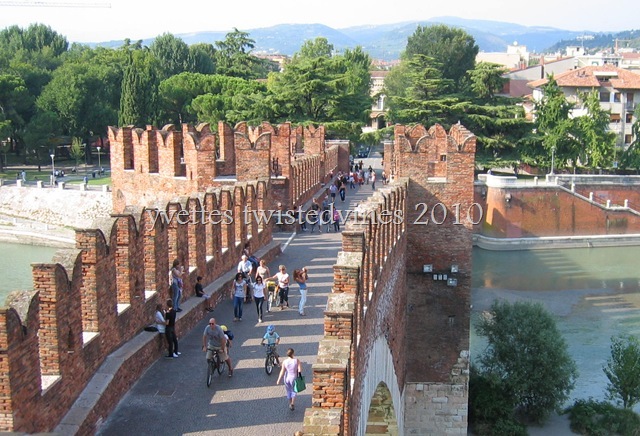 Verona one of the most fascinating cities of Italy. What a beautiful looking place Yvette. 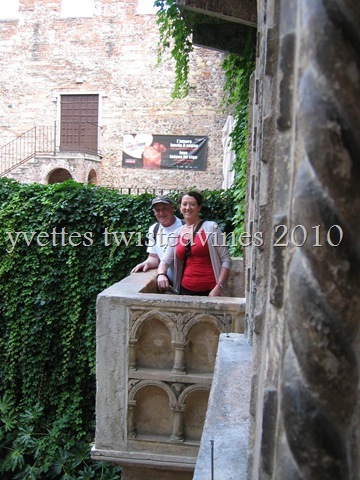 I haven’t been to Verona, and at the moment am trying to find a place to base ourselves for a possible trip. 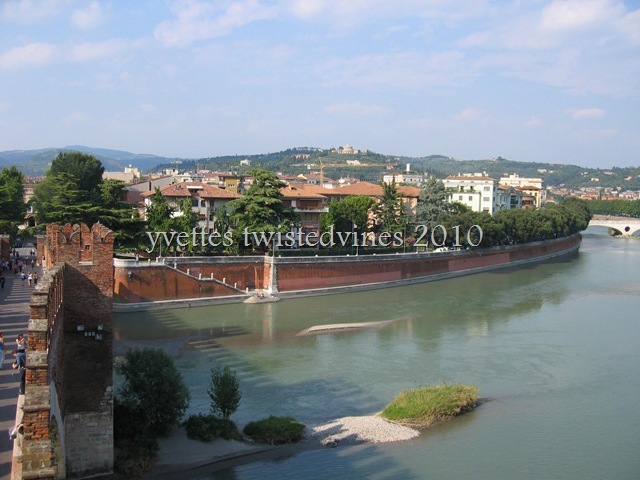 Was actually thinking about the Treviso/Verona area… you might have enticed me. I’ve never been there. It looks like an awesome place to visit. Thanks for calling by…a beautiful and romantic city to visit! 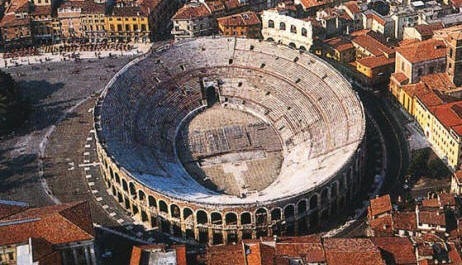 Thanks Celia…Verona is for me a magnificent city to visit…lots to find,and best of all great shopping! Beautiful! Living in such a young country I am always amazed by these photos of places with so much history! 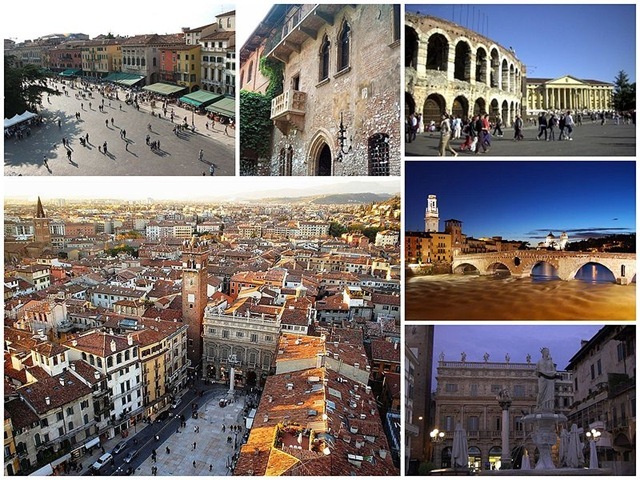 Verona is full of history…one of Italy’s romantic cities! Wow, that looks amazing. I haven’t ever been to Italy. 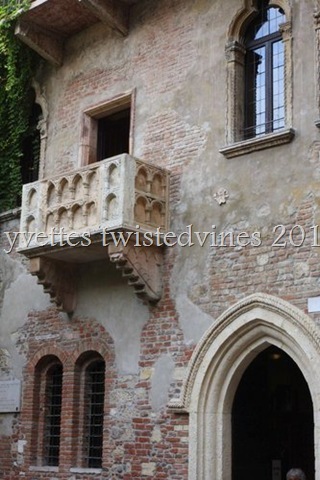 Definitely will keep Verona in mind if I make it there for a visit! I especially like the last three photos.